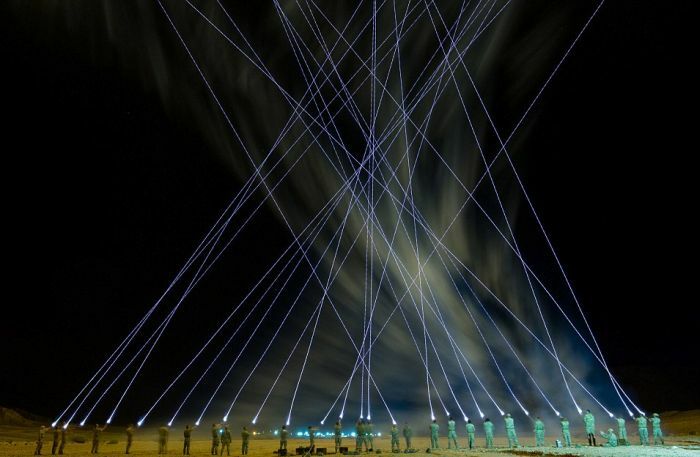 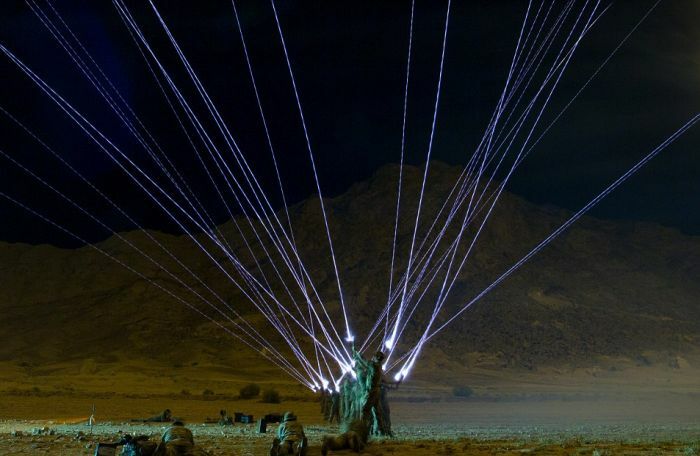 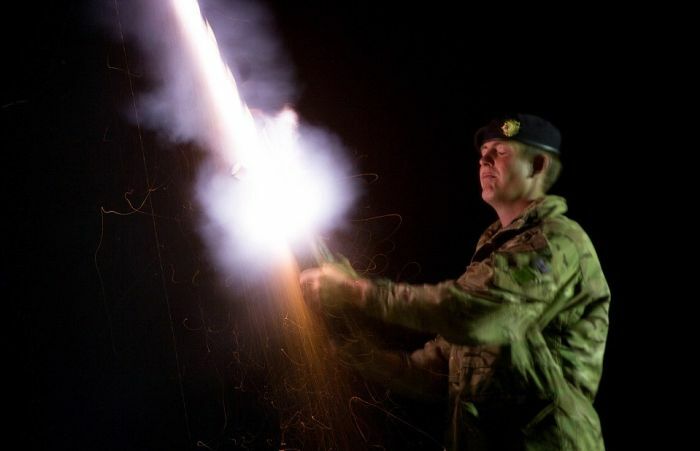 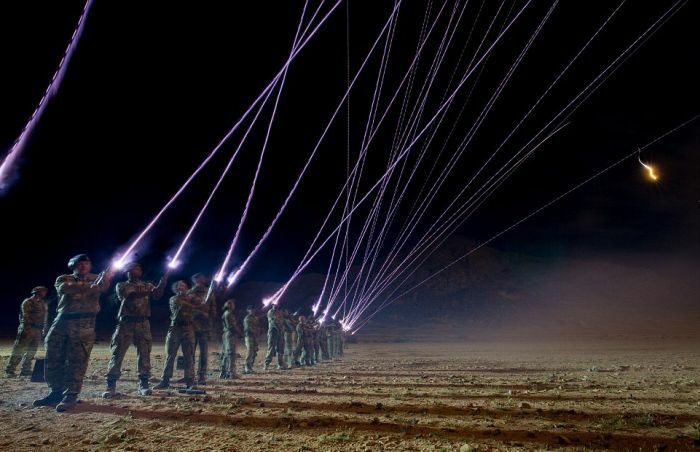 UK forces in the Middle East recently came together for a training exercise that lit up the desert. 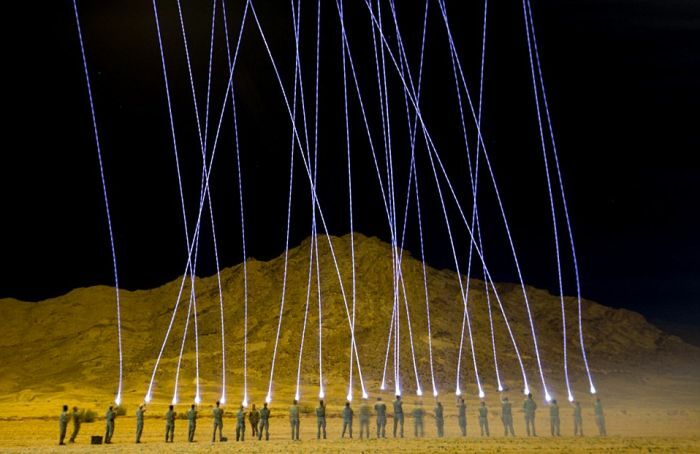 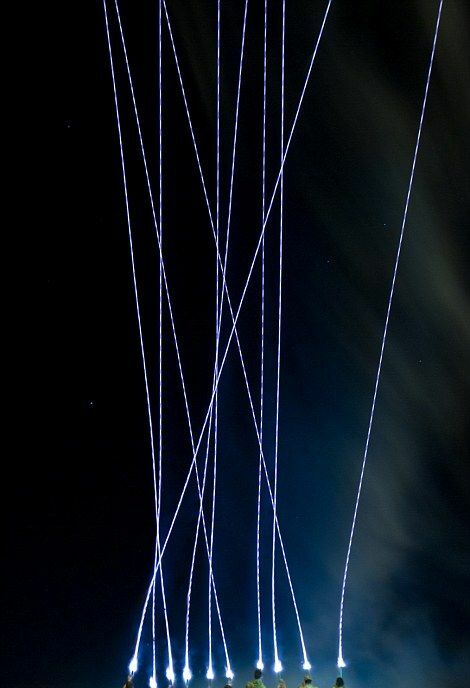 They were working with shamooli flares and the flares were set off in unison which sent streaks of white light all throughout the night sky. 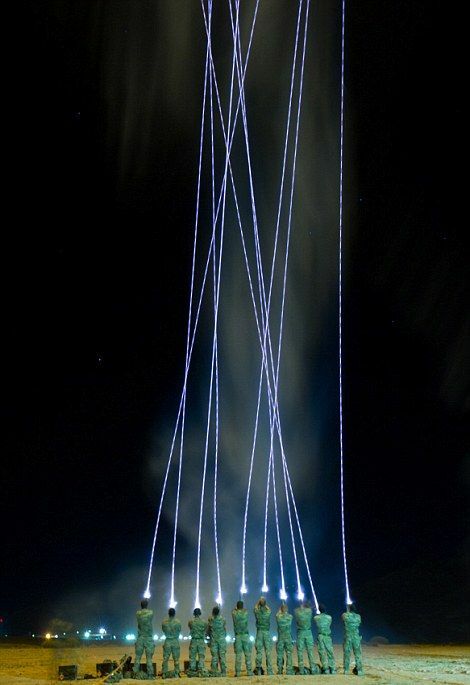 There's something strange in neighbourhood?